Surprisingly, many healthcare organizations still don’t treat patient relationships with the urgency they deserve. 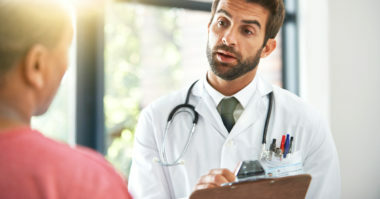 But the healthcare industry needs to focus on building better patient relationships by emphasizing the patient’s personal experience and offering opportunities for direct connection with organizations. To help providers have healthier patient relationships, Business2Community.com shared four healthcare marketing strategies. Patients need to be aware of what an organization offers in order to take advantage of its various resources. That’s why it’s important to run healthcare marketing campaigns that provide patients with detailed information about the organization and its many options for care. In addition to educating patients, this also earns their trust. And by implementing paperless medical records systems and sharing patient stories with their consent, it demonstrates the organization’s transparency and dedication to serving the needs of patients. The way to make patients feel more connected to the organization is by giving them opportunities to connect via social media. Along with facilitating patient engagement, social media also provides greater visibility. Healthcare marketing specialists can promote social engagement by posting contests, content, and hashtags that inspire patient involvement. But remember that a strong social presence needs to be maintained by continually providing fresh content and rapidly responding to all social feedback. Participating in local events demonstrates the healthcare organization’s interest in community involvement and increases its visibility. Whether hosting an event, becoming one of its sponsors, or taking part as a speaker, these are valuable opportunities to show commitment to the community while building brand awareness. Then, the organization’s involvement can be shared through press releases and content to gain even more recognition. People love reading stories about others on social media. Luckily, healthcare organizations have an abundance of uplifting, informative, and powerful stories to tell. Share the latest healthcare news, organizational updates, and compelling recovery stories that patients are willing to share. These announcements show the organization’s strong commitment to earning the trust of patients.